Hendrix Air promises customer service that exceeds the expectations of White Oak GA residents. Call us now at: 912-462-6794. We’d love the opportunity to earn your business as we have with your neighbors in White Oak GA. Thank you so much for the great review of our company and our technician. We are glad you chose HendrixAir for all your heating and cooling needs. We appreciate your business and value you as a customer. Thank you for choosing HendrixAir. You are a valued customer and we appreciate your business. Wilton Dean, worked extreamly hard to ensure my experience with the company and his work was of the highest level. While no company can be perfect all the time, how they deal with issues when they arise says more about them than how they do when everything runs smoothly. This company handled my concerns in a manner that would guarantee my future business. The owner himself came out to the house to talk to me and review my concerns, then sent a team out to fix the problems. Even the office manager showed up to ensure my complete satisfaction. Thank you for the great review. We strive on having great customer satisfaction. Thanks for choosing our company for your cooling needs. Completed maintenance on 2 Ameristar heat pump air conditioning systems and fixed attic access door. 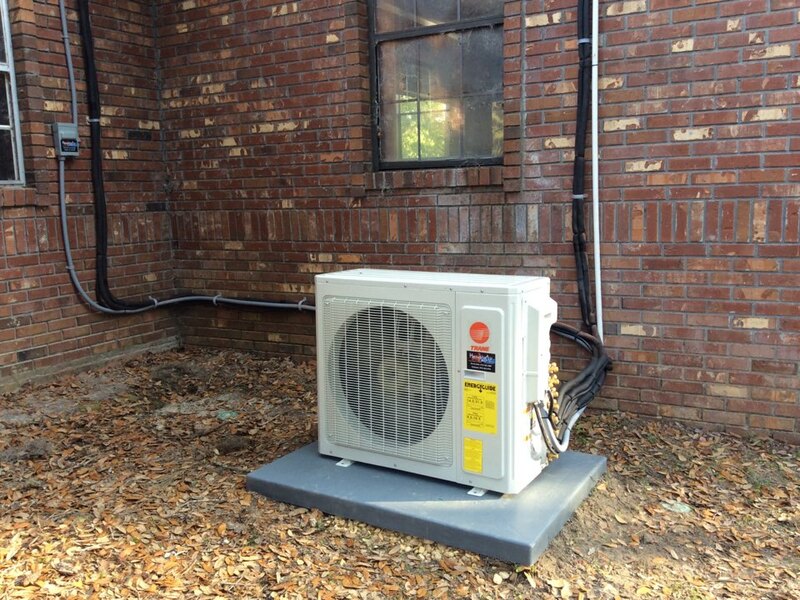 Performed maintenance on Trane heat pump air conditioning systems. Conducting service/repair on a Daikin mini split heat pump air conditioning system.